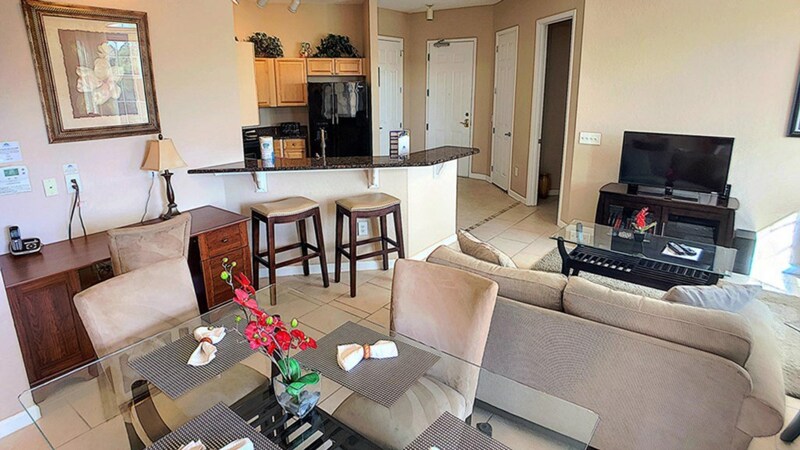 Cozy 2 bed 2 bath Resort Condo with easy access to Disney! 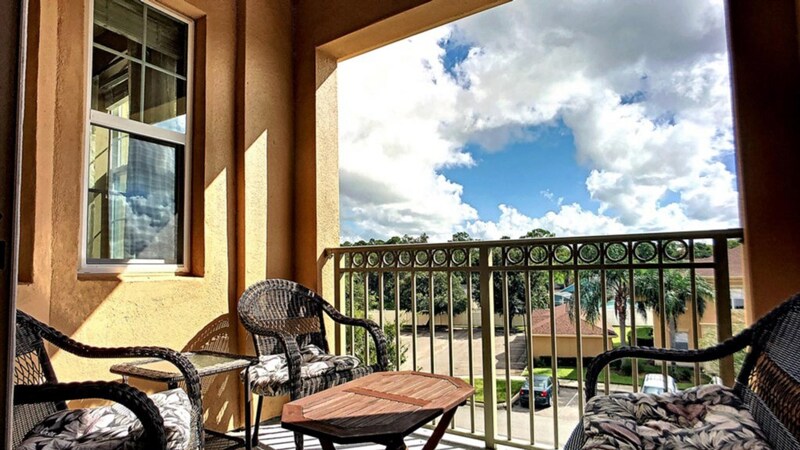 This third story condo has a private balcony, perfect for enjoying your coffee in the morning. 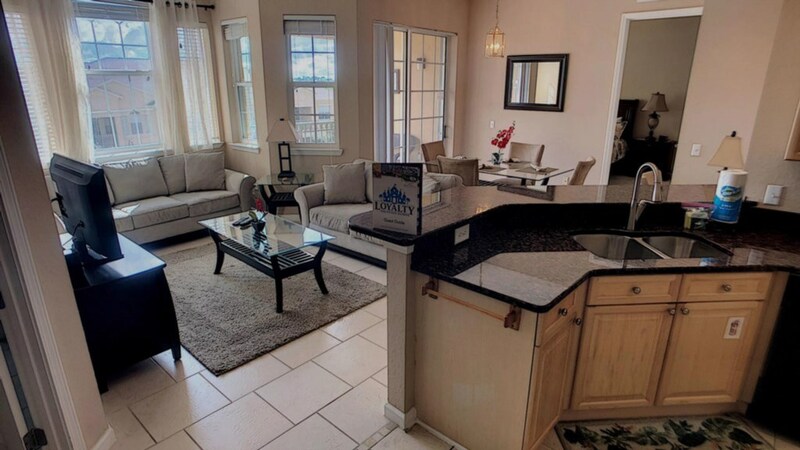 This two bedroom condo is perfect for two couples traveling together, as its split floor plan provides space and privacy between the two large bedrooms. 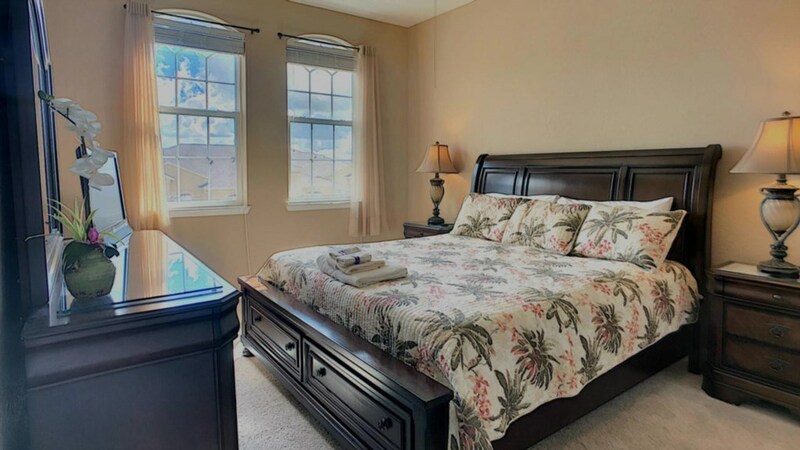 The Master Suite offers a King size bed and private bathroom with a bathtub, separate shower and duel sinks. 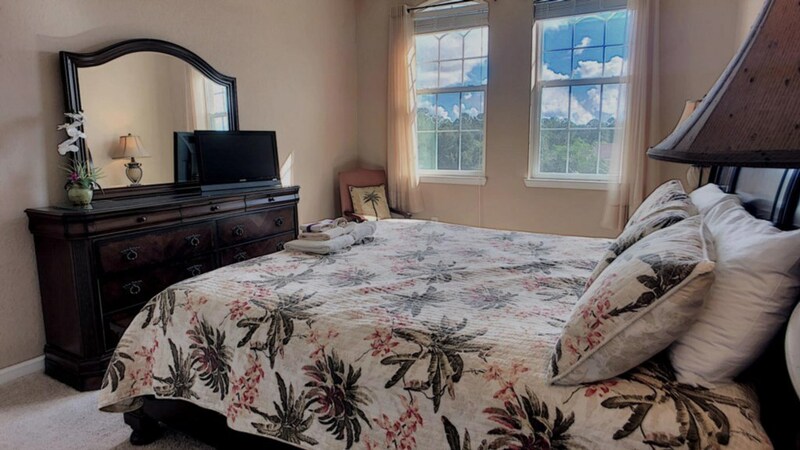 The second bedroom has a Queen size bed and is located adjacent to its own private bathroom. 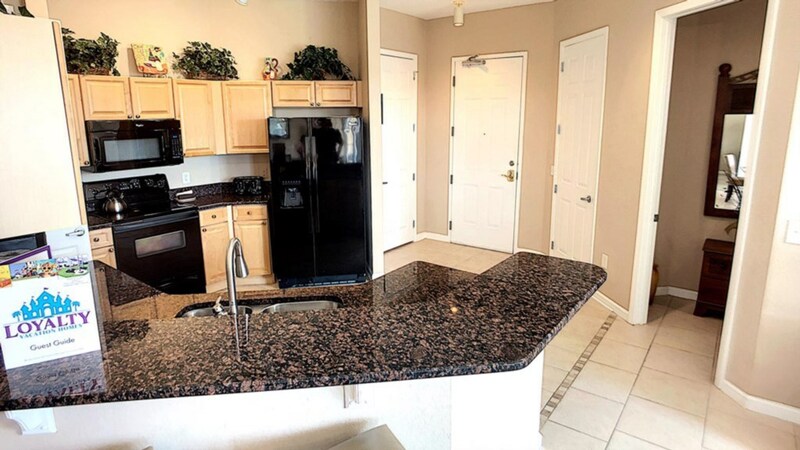 This large and fully equipped kitchen has everything you need to make meals at home. Take advantage of all of the counter space, the high quality appliances and all of the tools and utensils you’ll need to prepare a meal for your family. 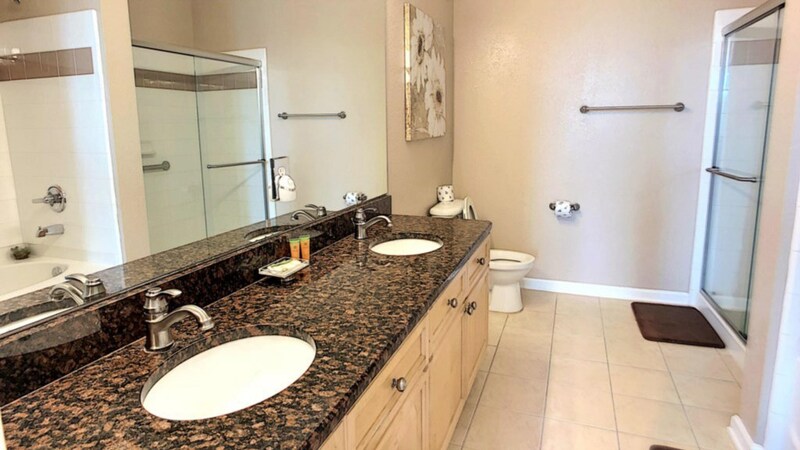 You will be impressed with the attention to detail throughout the entire home, especially in the living room. There isn’t a bad seat in the house in front of the large flat screen TV. The furniture and décor throughout the house will leave you feeling well taken care of and relaxed. · Want to brag to friends back home about your amazing condo? The resort has free Wi-fi! · Want to stick to your fitness routine? The resort has a fitness center! 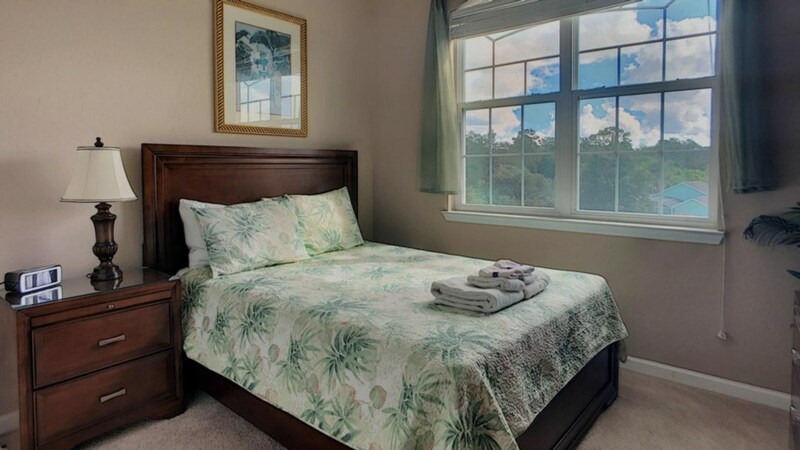 · Want to lay out by the pool? The resort has a GIANT community pool that is heated in the winter! 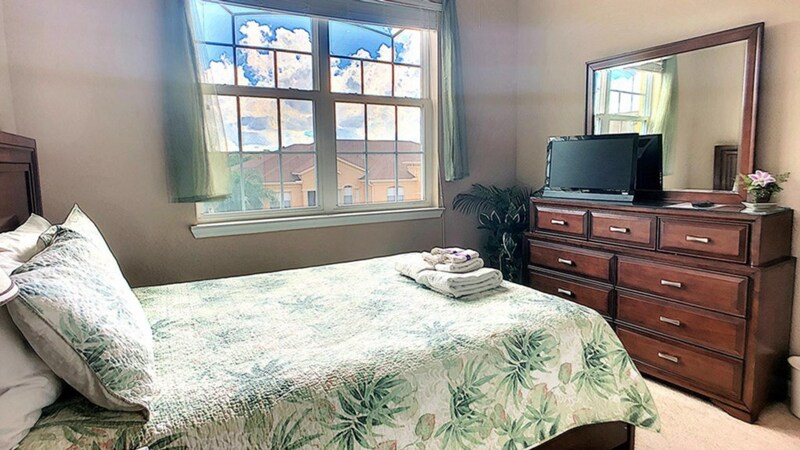 · All towels and linens are included! 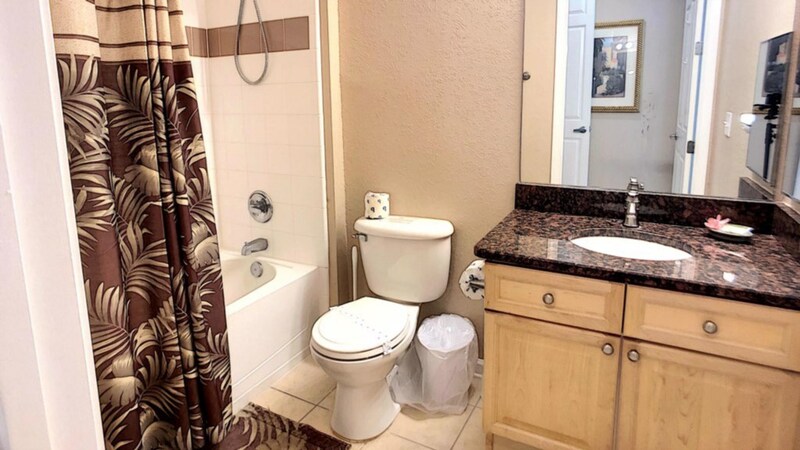 · Located in a gated resort community just 4 miles to Disney! 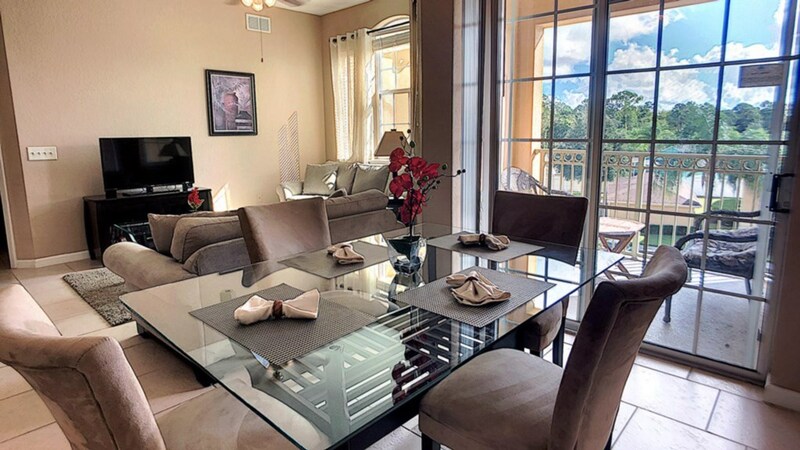 For people looking for a 5 star accommodation close to all of the attractions, this condo is like a wish come true granted by your fairy godmother! 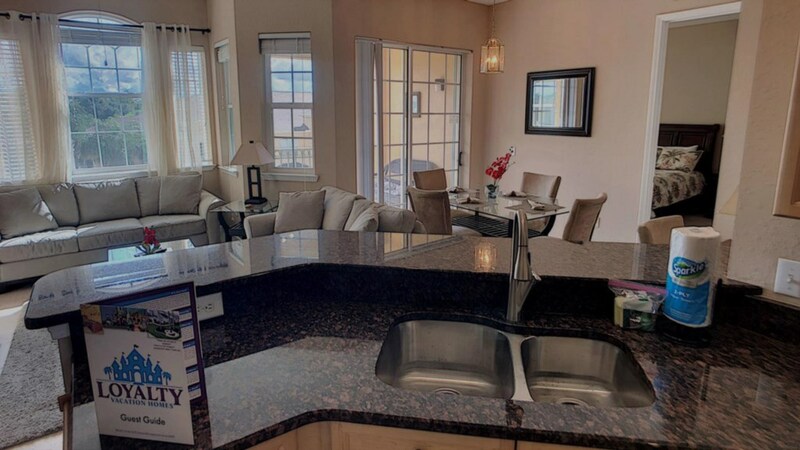 This condo was so close to everything but private enough to be a cozy community feeling. Everything was clean and well maintained and benches for garbage was a wonderful idea to keep the public areas clean. The pool area and clubhouse was wonderful. Will definitely stay here again. Really liked this condo. It is neatly decorated and has everything we needed for our vacation. Another plus is that it is located real handy to everything- new Publix's grocery store down the street and all the Disney attractions. We will be back. Thank you.